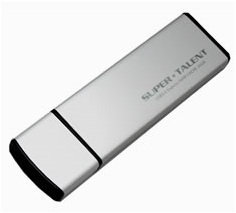 Super Talent is a leading manufacturer in all things memory and storage related. A master of the NAND flash chips if you will. Today we take a look at their new USB 3.0 drive, the Express RAM Cache 32GB flash drive. This drive features 32MB of on board cache for accelerating small block writes. The drive also has a few tricks up its sleeve with the bundled software that helps set it apart from other flash drives, but you’ll have to read on to find out about that. This drive is being sold most everywhere on the web for $59. That seems to be the sweet selling point for USB 3.0 32GB flash drives.